St John’s Wort is a plant that is also known as Klamath or Tipton’s Weed. The true St John’s Wort is the species Hypericum perforatum but other species in the same genus, Hypericum, may also be referred to as St John’s Wort. There are an estimated 370 different species within this genus, all of which are closely related. H. perforatum is native to Europe, although it has spread to most other parts of the world, where it is often considered a pest and an invasive species. The H. perforatum species is sometimes called Common St John’s Wort in order to differentiate it from its close relations. Other species of Hypericum originate in Asia and North America. 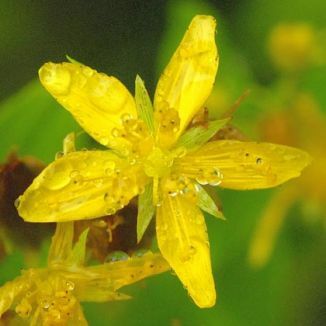 Although the Common St John’s Wort is the traditional variety associated with medicinal use, other related species have also been used as herbal remedies in non-European cultures. St John’s Wort is a perennial herb. It is found growing in meadows and pastures in temperate climates, and thrives in places that experience seasonal rains in either the summer or the winter. Due to its usually rapid growth, St John’s Wort is generally considered to be a weed. 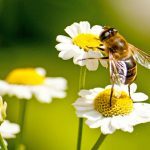 It is an invasive alien species in many countries to which it has been introduced by humans, since without its natural controls, the insects that feed on it in its native habitats, it can spread unchecked. St John’s Wort can reproduce both sexually, through pollination of its flowers and production of seeds, and vegetative, by sending out shoots that will develop into new plants. St John’s Wort is an unwelcome sight for livestock farmers, since it is toxic to animals and very difficult to get rid of. Even once the adult plants have been eradicated, the seeds may remain dormant in the soil for several years. The plant produces yellow flowers that are approximately two centimeters in diameter and which have five petals. When the leaves are held up against the light, rows of little dots can be seen in them. These are the origin of the perforatum part of the scientific name, which is derived from the perforated appearance that these spots give to the leaves. The buds, petals and seed pods, when crushed, produce a purple or red liquid. It is usually the flowers of the St John’s Wort that are used by people, often in herbal remedies. 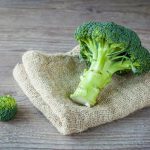 They are generally used when fresh, but they can also be dried in order to be used at a later date. 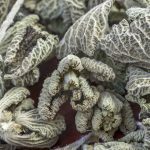 The flowers can be prepared as a tea, or an extract can be produced from them and used directly, or converted into a tincture. A concentrated extract can also be manufactured in order to make tablets or capsules. The stems and leaves of the plant are occasionally used in remedies, usually in the form of a lotion that will be applied to the skin. St John’s Wort plays an important role in the tradition of herbal medicine in many different cultures from around the world. It also has cultural significance in some regions, particularly in Europe. The earliest known medicinal use of St John’s Wort was in Ancient Greece, where it was used as a treatment for disorders relating to the nerves from at least 2400 years ago. Elsewhere in the world, other varieties of the plant were also used by the local peoples. Native Americans used St John’s Wort as an antiseptic and as a treatment for inflammation, for example. Historically, St John’s Wort has been used to treat a diverse range of conditions, including nerve pain, mental disorders, diarrhea and other digestive symptoms, and malaria. 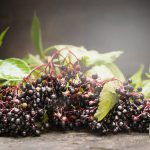 It has also been used as a sedative, and as a balm for insect bites, burns and wounds. In the European traditions, St John’s Wort was believed to be able to heal many different types of problems. It was commonly used to treat a wide range of illnesses, being credited with general healing powers. It was also thought to have the power to repel demons and evil spirits. This early belief is reflected in the scientific name that has more recently been given to the St John’s Wort genus. The name Hypericum is derived from the two Greek words hyper and eikon, which mean over and apparition. The pagan belief in the power of St John’s Wort was adopted into the Christian culture as it spread throughout Europe. People wore talismans made from St John’s Wort in order to ward off the devil, and it was also the custom in many places for the plant to be added to bonfires. Burning St John’s Wort was believed to help ensure a good harvest by helping the crops to grow well, to cleanse and purify the air, and to scare away evil spirits. According to the Christian belief system, the golden color of the flower was a sign of its efficacy against evil, since it reflected the ability of light to triumph over darkness. This idea probably relates to the earlier association of the flower with the sun and the summer solstice, which coincides with the flowering season of the plant in Europe, which is usually at the end of June. This date was also significant for the naming of the plant, since John the Baptist’s saint’s day falls on the 24th of June. Since the flowers are usually blooming on this day, it is thought that the saint’s name was taken and given to the plant. The blossoms were traditionally gathered on Saint John the Baptist’s festival day. There is also another story that relates the origin of this plant to the saint. It is said that the plant sprang from the blood of John the Baptist after he was beheaded. This tale may stem from the fact the petals release a red liquid resin when they are crushed, staining the hands a blood red color. Many different, and often poetic, names have been given to this plant by different cultures and regions. They often point to the traditional uses of St John’s Wort as an herbal remedy. It has been called amber, balm of warrior’s wound, touch and heal, devil’s scourge, witcher’s herb and Lord God’s wonder plant. The most common use of St John’s Wort in the modern world is as a dietary supplement for the treatment of mild depression. It is a popular natural remedy in the US, where it is available over the counter, but in some parts of the world, it is a prescribed treatment offered by doctors to patients who are diagnosed with depression. St John’s Wort is in fact one of the most commonly prescribed treatments for the condition in Germany, where it is often selected as the best treatment for children who have mild depression, or for patients who cannot afford to pay for antidepressants. There are therefore two groups of people who may use St John’s Wort: patients with depression to whom it has been recommended or prescribed by a doctor, and people who are interested in the use of traditional and natural remedies. St John’s Wort is sold in a variety of different forms. It is commonly used in capsules or tablets, but it is also possible to buy St John’s Wort teas and tinctures. The liquid extract of the plant is also available, and it is the form preferred by most herbalists. There are two recognized active ingredients in St John’s Wort: hyperforin and hypericin. There are numerous other chemical in the plant too, some of which may also have some antidepressant or medicinal properties. The clinical trials that have been carried out on this supplement have focused on hyperforin and hypericin, however, and standardized formulations of St John’s Wort are now being produced that contain specified levels of these two active ingredients. Scientists believe that the activity of St John’s Wort is based upon the inhibition of the uptake of dopamine, noradrenaline and serotonin. These three chemicals are neurotransmitters that are known to play a role in the control of mood and stress. St John’s Wort may also be able to activate receptors for glutamate and gamma-amino-butyrate, which both also function as neurotransmitters. Although it can inhibit the activity of the enzyme monomase oxidase when it is present in high concentrations, there is no evidence that the hypericin in St John’s Wort can have this effect when it is taken at the recommended dosages. As well as being used to treat depression, St John’s Wort has been tested for the treatment of a number of other conditions, although without any significant success in clinical trials. Some of the traditional medicinal uses of the plant are still being kept alive today by people who use St John’s Wort as an herbal remedy for bruises, cuts and insect bites, to treat coughs and colds, or as a cure for digestive disorders. There is no scientific evidence to back up the use of St John’s Wort to treat these conditions, although there is a long tradition of doing so. In addition to its medicinal uses, St John’s Wort has also been used to create red and yellow dyes for material and colorings in cosmetics. There have been many clinical trials that have tested the ability of St John’s Wort to treat various conditions, although most of these experiments have focused on the safety and efficacy of the extract as a treatment for depression. According to a number of short term studies, St John’s Wort appears to be an effective treatment for mild to moderate depression. It was more effective than a placebo in patients who had these types of major depression, and it matched tricyclic antidepressants in its ability to treat the condition. There was also a substantial benefit to using St John’s Wort rather than antidepressants, since patients who took the natural extract were less likely to suffer from side effects and adverse events than those who were given the antidepressants. This suggests that St John’s Wort could be a safer alternative treatment in some cases of depression. The same results were not found in all of the trials, however. 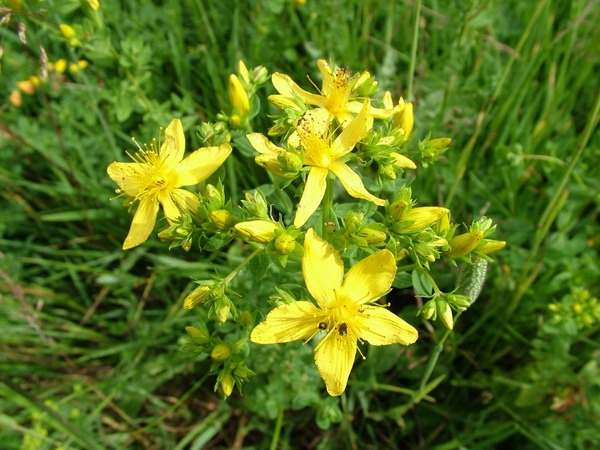 There were some studies that did not find St John’s Wort to be an effective treatment for depression. Instead, their results suggested that it was no more effective than a placebo. Questions have been raised about how reliable these negative results are, however, and the consensus among medical professionals is that St John’s Wort is a safe and effective treatment, although it may not be suitable in all cases. A systematic review of the evidence from clinical trials of St John’s Wort as a treatment for depression was conducted by the Cochrane Library, which produces some of the most respected reviews in the health sector, which are used as sources of evidence by health care professionals and decision makers. The review looked at 29 separate randomly controlled trials, which treated a total of 5489 patients. The reviewers concluded that there was sufficient evidence from the studies to prove that extracts of St John’s Wort was more effective than a placebo when given to patients suffering from major depression, and was equally as effective as antidepressants. St John’s Wort was also found to be safer than antidepressants, since it resulted in fewer side effects. One complication to the interpretation of the results was that a stronger effect was found in patients who were taking part in trials in German-speaking countries than in those from elsewhere in the world. This may be due to the stronger tradition of St John’s Wort use in these countries, and particularly to the fact that it is used as a treatment by physicians, which may have increased the confidence of patients in its efficacy. 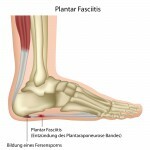 This could have caused a type of placebo effect, in addition to the medicinal effects of the treatment. Alternatively, the trials in these countries may have been flawed, with results being overly optimistic due to the researcher’s belief in the treatment, or simply a result of differences in the types of depression that were experienced by the patients who were included in the German speaking studies. The scientific evidence for St John’s Wort’s efficacy as a treatment for other conditions is less clear, although numerous studies have been conducted. Some evidence has been gathered that appears to suggest St John’s Wort could be used to treat somatoform disorders, anxiety, atopic dermatitis, ADHD or attention deficit hyperactivity disorder in children, nerve pain, obsessive compulsive disorder, pain associated with burning mouth syndrome, premenstrual syndrome, per-menopausal syndrome, seasonal affective disorder, and social phobia. The results are not enough to prove or disprove the ability of St John’s Wort to help patients with these conditions. There is also only limited evidence of the efficacy of St John’s Wort for the treatment of depression in children. Trials have also been conducted to test the use of St John’s Wort in patients with severe depressive disorder and HIV. It was not found to be an effective treatment for either condition, and the adverse reactions of St John’s Wort with many HIV/AIDS drugs means that it is inadvisable for patients with this condition to take St John’s Wort. St John’s Wort is recommended by the Natural Standard Research Collaboration as a safe and effective treatment for mild to moderate depression, but it is not currently recommended for the treatment of severe depression due to a lack of clinical evidence supporting its use in patients with this type of depression. According to the MedlinePlus National Library of Medicine, the usual dosage for an adult taking St John’s Wort supplements in clinical trials is between 900 and 1800 micrograms of St John’s Wort extract or 0.17 to 2.7 micrograms of hypericin. Both dosages are for oral use on a daily basis. Trials in children have used 150 to 1800 micrograms of St John’s Wort extract daily, by mouth. The results of clinical trials suggest that a dose of 900 micrograms per day is necessary in order to effectively treat depression. This can be taken as two 450 micrograms doses or three 300 micrograms doses. The effect of treatment with St John’s Wort in patients with depression usually takes between two and four weeks to become apparent. The standardized formulations of St John’s Wort contain between 0.1 and 0.4 percent hypericin and between 2.0 and 4.0 percent hyperforin. The variation in formulations should be taken into account when choosing a brand of St John’s Wort supplement, and when determining a suitable dosage. The usual dose for St John’s Wort tincture is ¼ to 1 full teaspoon, to be taken up to three times a day. St John’s Wort tea is available in teabags, which are suitable for preparing single cups. It is usually advised to drink up to three cups of this tea a day. The potential side effects caused by St John’s Wort are mild relative to those, which can result from taking antidepressants. It can, however, cause anxiety, fatigue, headaches, dizziness, dry mouth, rashes, sexual dysfunction or problems with the digestive system. Occasionally, patients may suffer from photosensitivity, which can result in the eyes becoming more sensitive to light, and the skin being burned, even when the sun is not strong enough to cause sunburn in someone who has not been taking the supplement. Patients taking St John’s Wort should therefore take additional care to protect themselves from the sun, wearing sunscreen and staying in the shade. St John’s Wort may also interact with certain medications, since it can affect the way that drugs are metabolized. It can increase the side effects of some antidepressants, and it can also interact adversely with the birth control pill, cyclosporine, digoxin, endeavor, irinotecan and warfarin. 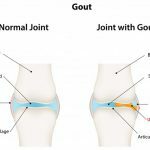 These drug interactions could have serious health implications, and it is therefore advisable to consult a doctor before beginning to take a St John’s Wort supplement, even in a country such as the US where no prescription is required. St John’s Wort is not regulated in the US, where it is considered to be a dietary supplement and not a medicine. This means that it is not under the control of the FDA. 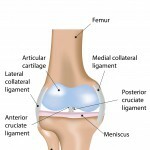 It is legal in all states and is available over the counter, without a prescription. In some other parts of the world, St John’s Wort is only available on prescription. Ireland and Germany both require patients to obtain a prescription before they can purchase St John’s Wort. This caution is due to the adverse interactions of St John’s Wort with some medications, which has caused certain governments to issue regulations for its use. St John’s Wort is usually fairly cheap. It is sometimes used in Germany as a cheaper alternative to antidepressants. In the US, it can be bought at drug and health food stores. It is also possible to order St John’s Wort online from health food websites. A months worth of St John’s Wort at the recommended dosage for treatment of depression will usually cost between $10 and $25.